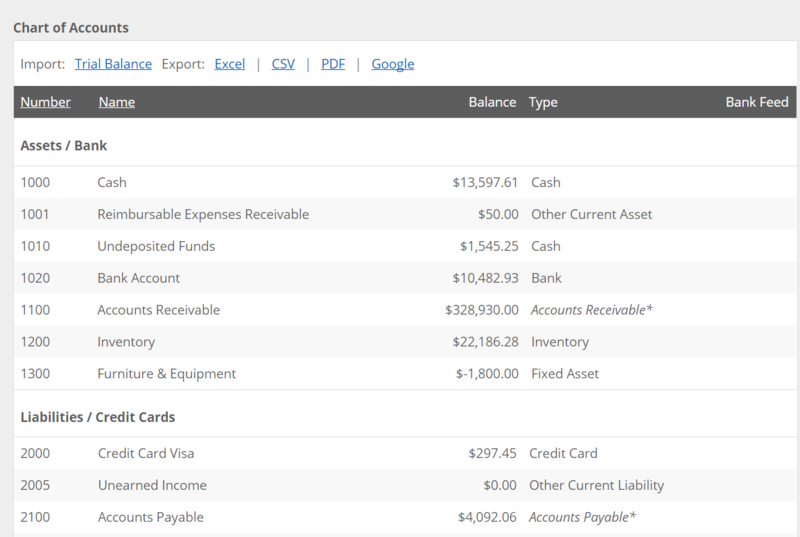 Note: The QuickBooks screenshots and instructions were done using QuickBooks Accountant 2014. 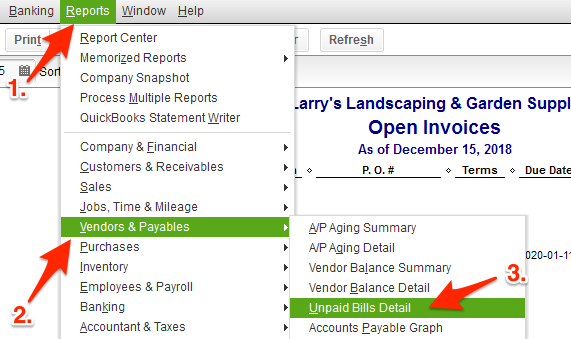 Your QuickBooks version may have a different look, depending on the year and version. You'll first need to figure out a start date, collect your information, and ready your data. To learn how to do so, follow the steps in the article Stuff to do before using Kashoo. In the examples below, we will be using a Start Date of October 1, 2018. 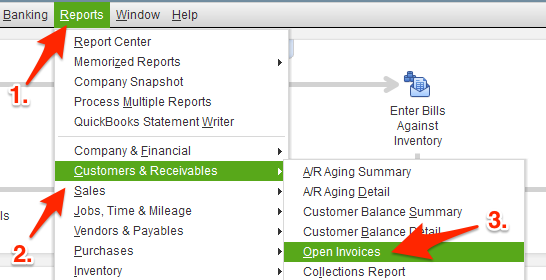 There are six type of reports / data that you’ll want to export from QuickBooks. Three of them can be imported into Kashoo after they are formatted in a way that Kashoo can import. Three of them cannot be imported into Kashoo, but will be needed for reference during the migration process. 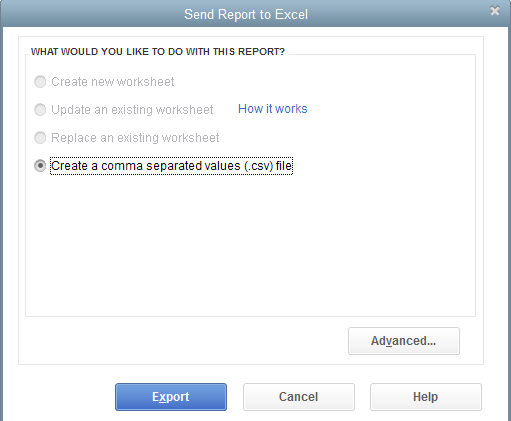 You will be shown how to export each of those reports / data in each of the steps below. If you have not done so already, download the Kashoo Trial Balance Import Template to use in this step. Excel file and this will make the data harder to work with. The trial balance report will give you your Account Name, Debit, and Credit data. Now export your Account Listing report. Your Account listing report will give you your Account Type, Description, and Account Number data. Note: Do not use the numbers found in the Balance Total column. 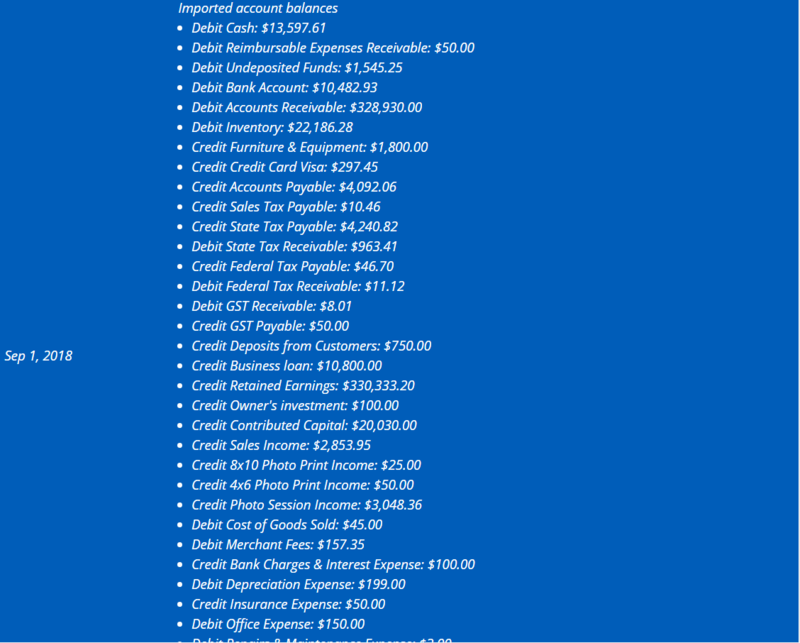 These are the balances of your accounts for all dates, meaning it could include data from after your start date. Now what you do is copy and paste the data from the QuickBooks Trial Balance and Account Listing reports into the Kashoo Trial Balance Import Template. 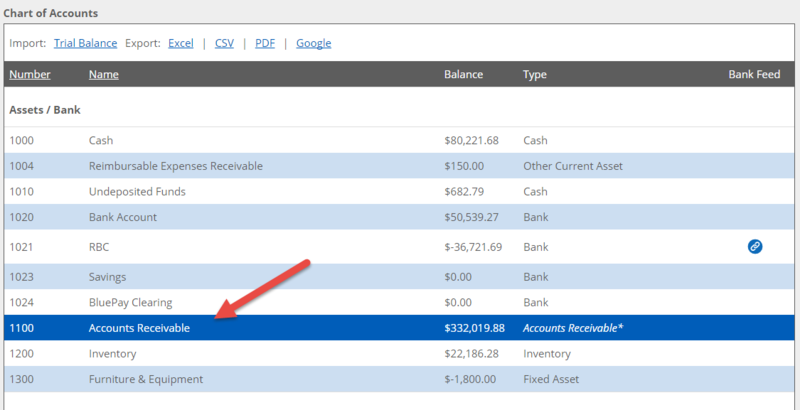 If you use account numbers, the Account Name and Account Number fields may be combined in your QuickBooks reports. Make sure to separate them out before copying and pasting. 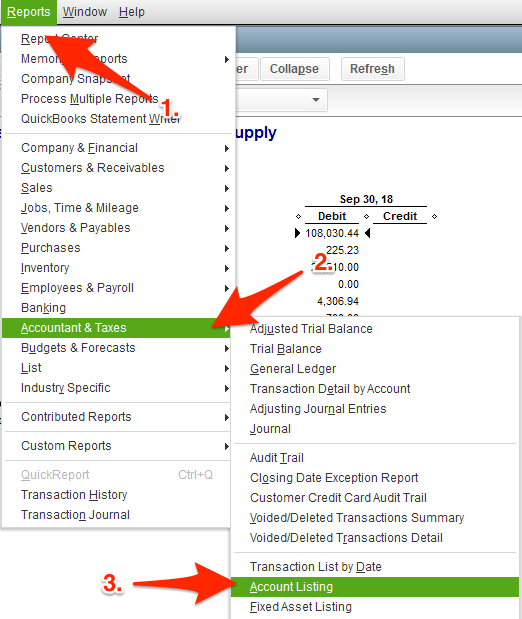 Did you use subaccounts in QuickBooks? 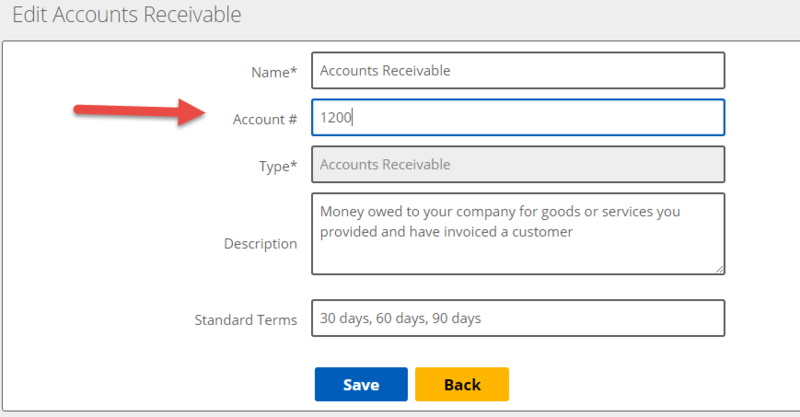 If you used subaccounts in QuickBooks, you won’t have that ability in Kashoo. 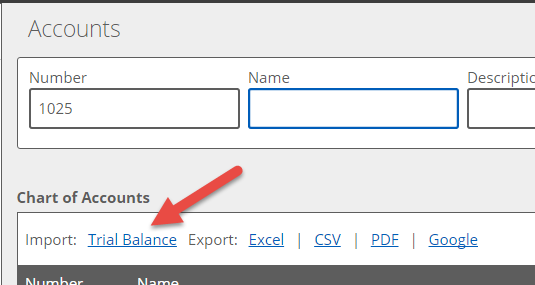 The way QuickBooks exports its trial balance, by having the main account name followed by the sub account name, is in a format that allows you to import these accounts into Kashoo. They however will be imported as regular accounts, not sub accounts. Be warned, that you will most likely need to adjust the Account Name and Account Type fields before importing the trial balance into Kashoo, since some of the names used in Kashoo are different than QuickBooks. 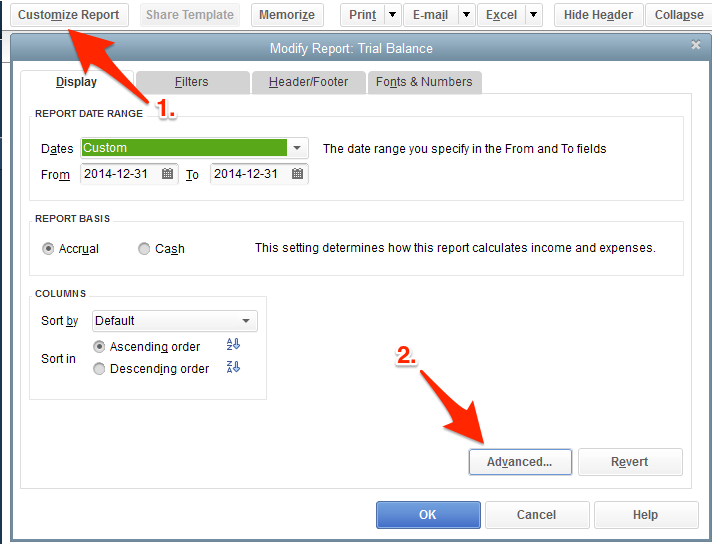 If you have one mistake in the Trial Balance, the import feature will not work. We’ve created a list of the account names and types that are the same and different between QuickBooks and Kashoo in the downloadable word doc called Trial Balance Accounts - QuickBooks vs. Kashoo. Non-Posting accounts cannot be imported /used by Kashoo, so do not include these in the Trial Balance import. Be very careful with your tax account naming, since Kashoo will automatically create sales tax accounts unless you name them exactly as they are named in Kashoo. If the account number doesn't match the one found in the trial balance that is being imported, you'll end up with duplicate accounts. 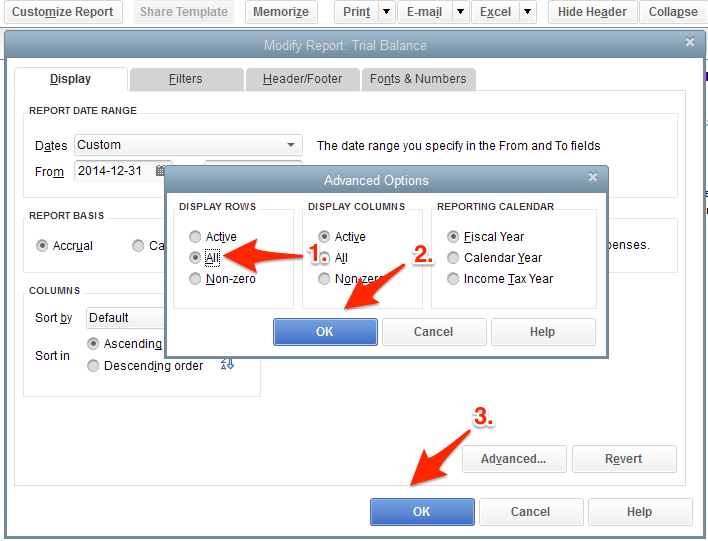 So you either need to change the account numbers in your imported trial balance or Kashoo. Seeing as you most likely want to keep your account numbering system, changing the numbers in Kashoo to match the imported trial balance is the preferable way to deal with this. 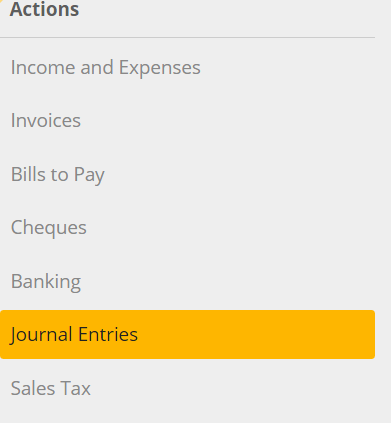 Now that you’ve got your trial balance file all sparkling clean and organized, importing it into Kashoo is quite easy. There is no undo button for reversing a botched trial balance import into Kashoo. 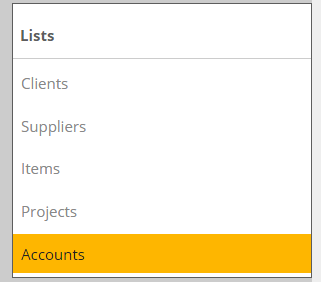 Importing a trial balance deletes any unused accounts in Kashoo and creates an adjustment transaction with your opening balances. You are able to delete the adjustment, but unused accounts that have been deleted accounts cannot be easily restored. If you do mess things up, you are able to re-import a new trial balance. 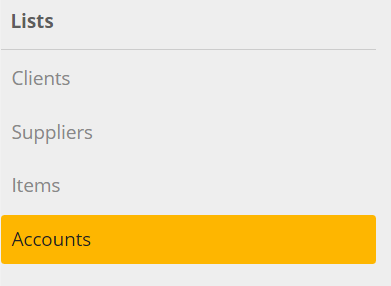 It is recommended that before you try a re-import, that you delete the opening balances adjustment (this will allow any unused accounts to be deleted upon the re-import). To verify that your trial balance (which is your chart of accounts and opening balances) were imported correctly, go to Accounts. 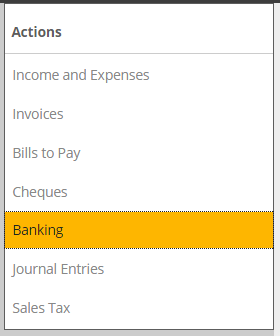 From there you will be able to see your chart of accounts. Next, go to Journal Entries. From there you will be able to see your opening balance. Note: If you are exporting / importing both customers and vendors, you will need to repeat this process twice. This means you need to export two different reports from QuickBooks and import two different spreadsheets into Kashoo (once for your customers and once for your vendors). The Kashoo Contacts Import Template will have all the field names that Kashoo uses. You can simply copy and paste your data into that template and import it into Kashoo. The second document is a customer export from QuickBooks that has columns that cannot be imported into Kashoo highlighted in red. It’s an easy visual way to see what can and cannot be imported into Kashoo. Once you have your spreadsheet file ready, follow these instructions to upload your contacts into Kashoo. What you’re looking for is the Uncleared Transactions section. This will show you every transaction that wasn’t cleared. Follow these steps to add back those uncleared checks to your bank account. Follow these steps to enter your unpaid customer invoices and vendors bills. These instructions will show you how to deal with one-time reconciliation transactions created by opening balances and uncleared checks. To start a reconciliation, go to the Banking page. For this example, we'll be reconciling our checking account at the end of the first month, so October 31, 2018. 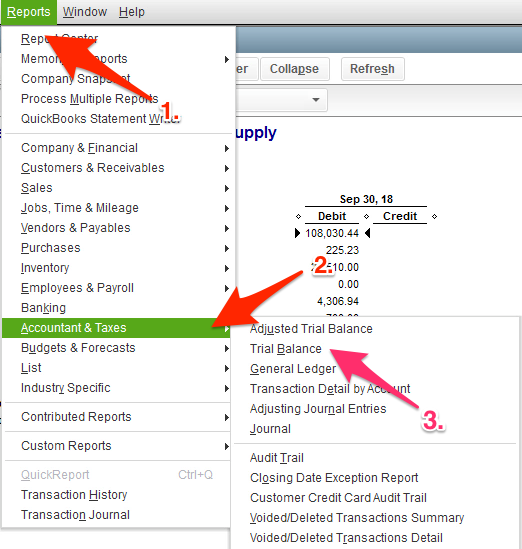 Opening Balance from the import of the Trial Balance in Step 3. Click on the "No Match found. Select to copy this transaction to the Bank Statement." 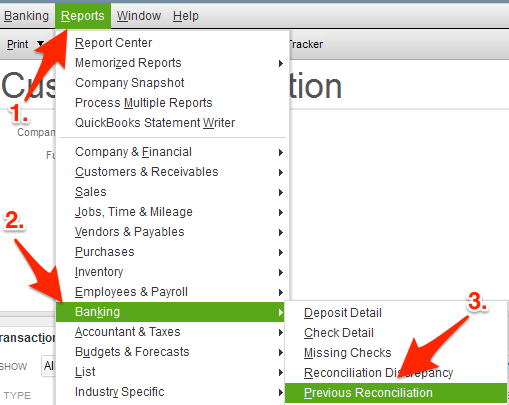 checkbox to add the transaction to the reconciliation. Opening transaction to add back uncleared checks into the bank account balance from step 4. Click on the "No Match found. Select to copy this transaction to the Bank Statement." 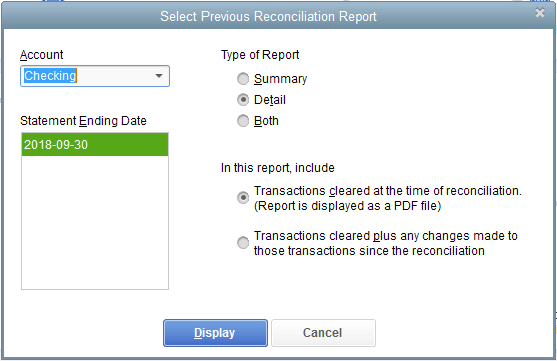 checkbox to add the transaction to the reconciliation. Withdrawals from the bank account when uncleared checks from step 4 are cleared. Choose Add Transfer and transfer the money from the Uncleared Checks account. With that, you've completely switched over to Kashoo. Phew, you're now done!